It was one of my entries into music so, even though I am not big on them currently and have not been for a while, kudos for them, I still revisit some old albums from time to time, Try Master of Puppets. Ciff Burton is great, and so is his piece Orion. I don't hate Metallica because I haven't heard them, rather the other way around! It took under 5 minutes to grow an intense dislike to Metallica. hope you guys find the errors of you ways. Grammar police eh? Well, because I was a teenager in the late seventies, and in the early eighties, when FZ was putting out an album every other month (i exaggerate sometimes), and lot's of people were really into Metallica and AC/DC. I HAD no use for that band. 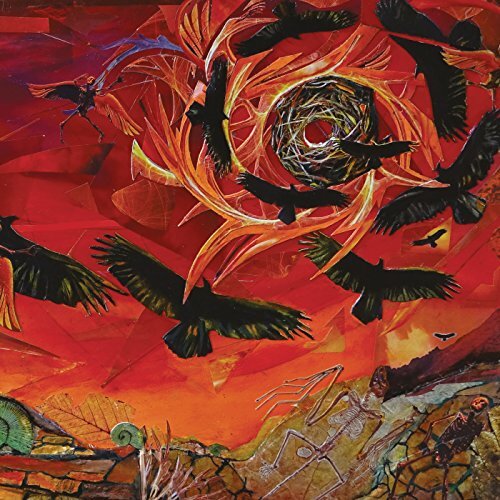 It goes without saying that I still HAVE no use for that band, probably because I possess "At the Mountains of Madness" in my record collection and that particular album blows any metal band to pieces. Maximum respect for that band for getting the Polar Music Prize. Bravo! Sorry to say that but it's business as usual in the Land of the Free and the Home of the Brave. It is dubbed the 'greatest show on Earth' with thousands of sparkling Brazilian dancers ignoring sweltering heat to put on a spectacular samba parade. Rio de Janeiro came alive on Sunday night as the city's carnival hit its peak in a stunning cocktail of glamour, eccentric costumes and pounding samba anthems. The two-night extravaganza began in the Sambodromo, where 72,000 spectators sat in roasting conditions, with many thousands more milling around outside selling drinks, putting on colourful outfits or simply soaking up the atmosphere because they were unable to get tickets. But amid the feather headdresses, sparkly G-strings and dancers dressed as everything from trees to Chinese merchants, serious politics marked this year's parades. 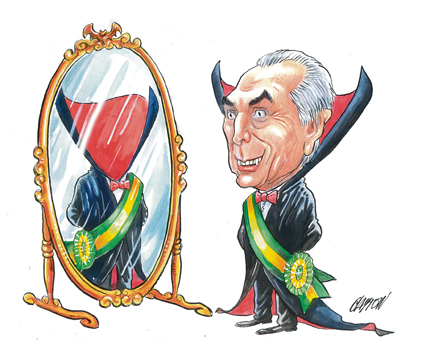 One reveller dressed up as Dracula to represent Brazilian President Michel Temer while a giant backside mocked Rio de Janeiro's mayor during the unusually politicised event. Latin America's biggest country is only just emerging from its worst recession on record. Violent crime in cities like Rio is rocketing, and politics is riddled with corruption and lack of leadership ahead of October presidential elections. IO DE JANEIRO (AP) — There are some Brazilians who probably aren't finding much to enjoy in Rio de Janeiro's colorful Carnival parades — the mayor, the governor and the president. An anti-establishment tone is echoing through this year's celebrations in Brazil. And Sunday night's parade at Rio's Sambadrome featured entries that blasted the country's political leadership at a moment of economic slump and political scandal. President Michel Temer, Rio de Janeiro state Gov. Luiz Fernando Pezao and Rio Mayor Marcelo Crivella were expected to skip the two-day bash at the Sambadrome. The samba parades used to be a magnet for politicians before a sprawling corruption investigation around state-run oil giant Petrobras began in 2014. Now officeholders fear being booed and even attacked by critics during the party. The Congress Does Nothing is good or bad depending on your viewpoint. not much of a jump to a school. Come now. There's no time for crickets to chirp. (CNN) Special counsel Robert Mueller has indicted 13 Russian nationals and three Russian entities for allegedly meddling in the 2016 presidential election, charging them with conspiracy to defraud the United States, the Department of Justice announced Friday. In addition, three defendants were charged with conspiracy to commit wire fraud and bank fraud, and five defendants with aggravated identity theft. "The defendants allegedly conducted what they called information warfare against the United States, with the stated goal of spreading distrust towards the candidates and the political system in general," Deputy Attorney General Rod Rosenstein said. Mueller had convened the grand jury as part of his investigation into Russian interference in the 2016 election as well as any possible connections between Russia and Trump campaign associates. Last month my credit card was cancelled. A consulting firm in Kosovo tried to make a $12,000 charge against it. The bank didn't even bother to check with me: it was pretty obvious that the credit card had been hacked, so they rejected the charge and automatically issued new cards. Here's the interesting part. I just found out the consulting firm in Kosovo is connected to a Russian guy who was indicted in the Mueller investigation. (CNN) Special counsel Robert Mueller has filed a charge against a lawyer for lying to investigators about his interaction with former Trump campaign aide Rick Gates in September 2016. Alex Van der Zwaan is expected to plead guilty Tuesday afternoon. He is also accused of lying about the failure to turn over an email communication to the special counsel's office. He was speaking with investigators about his work with Skadden Arps in 2012 when the firm did work for the Ukrainian Ministry of Justice to prepare a report on the trial of Yulia Tymoshenko. Van der Zwaan has a plea hearing scheduled for Tuesday afternoon at US District Court in Washington, DC. 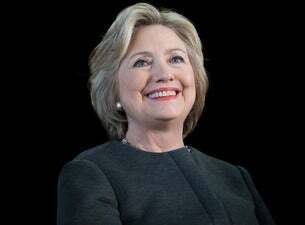 Free from the constraints of running, Secretary Clinton will share the intense personal experience of becoming the first woman nominated for president by a major party in an election marked by rage, sexism, exhilarating highs and infuriating lows, stranger-than-fiction twists, Russian interference, and an opponent who broke all the rules. Secretary Clinton will take audiences on a journey; What Happened and what’s next. A story of resilience, Secretary Clinton explains how she got back up after a loss, and how we can all look ahead. An illuminating insight into Secretary Clinton's experience as a woman in politics — she lets loose on this topic, and others, in a way she never has before. Don't miss an evening with Hillary Clinton. Former US president Barack Obama's first visit to NZ will see him give a speech to business and community leaders and have "some fun". Former US president Barack Obama is to visit New Zealand for the first time next month. Obama will speak to about 1000 invited guests at an event run by the NZ-US Council in Auckland on March 22. NZ-US Council spokesman Leon Grice said Obama would spend about three days in the country, before going on to Sydney. "It is a private visit but from our discussions we are not anticipating him bringing his family." The NZ-US Council was founded in 2001 and describes itself as an organisation committed to fostering and developing "a strong and mutually beneficial relationship between New Zealand and the United States". It advocates for the expansion of trade and economic links between the two countries and aims to bring about a comprehensive free trade agreement. Grice said discussions about a visit started in August. He said Obama's itinerary would include "having some fun" and he wouldn't be surprised if the former president squeezed in a round of golf. "There are lots of things that we have suggested he do, and we expect him to have a 'full time' when he is out here." Prime Minister Jacinda Ardern welcomed confirmation of the trip. "I look forward to welcoming Mr Obama to our country and anticipate meeting him once his full programme is finalised," she said in a statement. Obama's speech to the NZ-US Council has been sponsored by Air New Zealand, Westpac and Mastercard. Grice said the guest list had yet to be confirmed and the council would not be selling tickets. "The three sponsors have put forward some names and we are making sure it is a full cross-section of New Zealand society from community leaders to youth leaders and businesspeople." Air NZ chief executive Christopher Luxon said the airline had wanted to enable a visit since Obama left office and thought it would be an inspiration for the country's "leaders of today and tomorrow". "It goes without saying that President Obama's presence in New Zealand will be a boost for the profile of our tourism industry globally," he said. 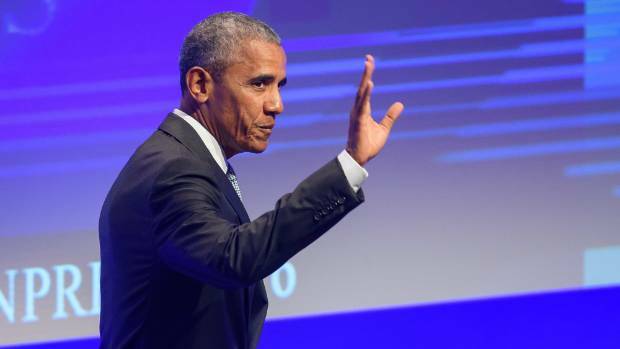 Westpac NZ chief executive David McLean said Obama's tenure in the White House brought with it "a spirit of hope and change which resonated with many New Zealanders". Grice said Obama was likely to discuss his presidency during his speech to the NZ-US Council and issues such as diversity and youth leadership "which is a really important thing in his post-presidency". Obama will speak at an event in Sydney the following day. Because law enforcement said the pig was killed humanely, there's no legal action the shelter can take. "Shelter workers believed they were sending Molly to a great home. But weeks later, a local woman saw reports on social media indicating the couple had slaughtered and eaten Molly, apparently because they found keeping and training a pet pig to be more work than they could handle." Well, this pig had a name... can't eat pigs with names...can grow pigs in tiny cages where they can never lay down, then eat them...as long as you don't name them. Same for dogs I suppose, we could grow them in little cages where they can't lay down, then eat them...as long as we don't name them. I don't know what the cop was talkin about "since it was humanely killed," we can kill pigs and cows any way it's cheapest and have "common practice" laws which mean as long as you killed the animals that way before, electrocution, a post through the head, slice it's jugular, whatever, you can keep doing it...humanly doesn't apply with common practice laws. The guy found a way to get free pigs...no worries though, the endotoxins will get him in the end. I didn't like them when I first heard them, I didn't like any metal. Then in the early 90's I discovered Betty. That album, though metal, was so different that it was interesting and I began listening to that one and Meantime...then I discovered Soundgarden, then I went back and listened to early metallica...it took a little while, but eventually I got addicted to Justice for all, Master of Puppets, and the other early Metallica classics...they took a pounding. The next noteworthy Metallica album for me was St Anger. It got beat up in reviews because it wasn't the same metallica formula, rippin leads, etc...but I think it's one of their best as they were going for a totally different sound and I think they nailed it. I'd much rather have variety than all albums the same. Sometimes I like metal, sometimes FZ, Beach Boys, Classic Rock...different music for different moods with me. (BTW, That's not one of the hard rockers from the album, it has plenty of those...it's just a favorite for it's innovation). This morning we were happy to announce a run of US tour dates with Prong as our special guest opening act. This marks the first time the bands have ever actually played shows together - which is surprising given the long history. In Page's own words: "Helmet really got off the ground after playing audition night at CBGB’s in 1989 (I think those were Mondays?). The FOH engineer was Tommy Victor (singer/guitarist) and door guy Mike Kirkland (bassist) for local heroes Prong. There were many great bands in NY/east village at the time (Sonic Youth, Rat at Rat R, Live Skull) but most were more in the noise/no wave vein. Prong had an indie vibe but w/a heavy dose of metal. 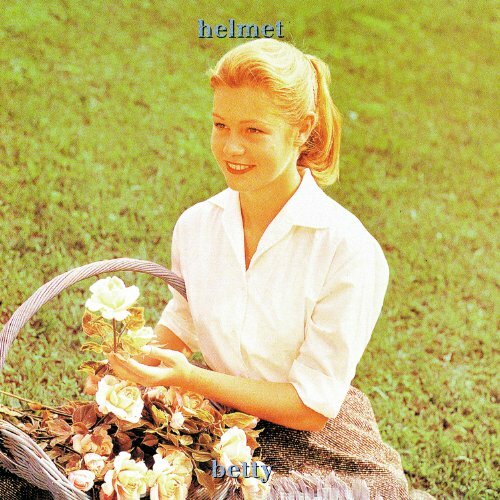 We were basically cut from the same musical cloth though Helmet leaned a little more toward noise and feedback and while remaining inspired by AC/DC ‘s funkiness. We played, Hilly said nothin, Louise told me later we were like ice picks to her forehead but Tommy and Mike said, 'book these guys now!' We will be forever indebted to Prong and couldn’t be happier to have an NYC reunion tour coming up." A limited # of pre-sale tickets go on-sale tomorrow (Feb 15th) at 10am local venue time at THIS LINK. Everyone who purchases a pre-sale ticket will also receive a free poster, signed by both bands, that can be picked up night of show. These tickets will likely go fast... so if you miss out, the public on-sale will be live the following day on Feb 16th at 10am. In other news... friend of the band Richard de Silva has just posted a video for "Life or Death." Check it out HERE. The footage was shot back in April of last year at a show in Melbourne.